Is 99 Cents the New Free? I can definitely assert that using ‘free days’ in the KDP Select program to boost book sales or visibility doesn’t work after the debut offering. I’ve tried using free days prior to the July 4th and Labor Day holidays only to realize a decrease in sales rank when the sale days were over. I have 150 free copies out there all over the world and I know three of my four book reviewers (I have a good guess on the fourth). Each of them, likely, paid full freight. I’ve tried other things to boost sales, too. I’ve put out a press release. Don’t be fooled by so-called ‘impressions’; only sales count. I did an author interview. It was very nicely presented but the site draws a limited audience. I have a Goodreads page. This site rejected me as an author for some reason. I contacted Amazon Vine and Top reviewers in my book’s genre (spying & intrigue). Of the eight I contacted, one put me on his to read pile. He has a policy of not slamming books he doesn’t like; I greatly appreciate that attitude. However, whining gets you nowhere. I’ve got a second book in the works and I’m trying even harder than at first. Better writing. Better editing. Better marketing. Pricing based on page count. I’m sticking with KDP Select when it makes sense (70% royalty and the Lending Library program). And I’ll try to release a third book this year. 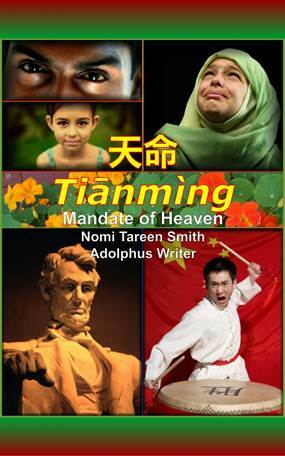 I’m going to have Red City review the first book, Tiānmìng – Mandate of Heaven, to find out what they think about it. We’ll have to see. There’ll be no welfare payments for this author. This entry was posted in Best Laid Plans and tagged Amazon Kindle, Amazon Vine, Author Interview, E-book, goodreads, Labor Day, Mandate of Heaven, Press Release, The New Free, Welfare by Mandated Memoranda. Bookmark the permalink.